Katie was born and raised in Fairhope, AL. In 2009, she graduated from Auburn University with a bachelor’s degree in studio art and minor in business administration. Upon graduation, she moved to Seattle, where she assisted a photographer before landing in Birmingham. In 2010, she attended Body Logic School of Medical Esthetics and received her Aesthetics License. Prior to joining Seiler Skin, Katie worked at a plastic surgery center and spa for six years, where she worked in a variety of roles before being promoted to lead aesthetician. In this role, she performed several different laser and light procedures for more than six years (including IPL and several fractional lasers), assisted with surgery and pre- and post-operative appointments, helped patients develop a skin care regimen, oversaw patient coordination and participated in a number of marketing initiatives. Katie has attended multiple medical-grade skin care trainings, and is certified and trained on a variety of lasers. She also has attended lectures and laser trainings on the biophysics of laser applications (conducted by John Hoopman, CMLSO), and graduated from CoolSculpting University in both 2015 and 2017. Katie has undergone extensive further training by Dr. Seiler and his cosmetic laser training company, with an intense focus on advancing her skill set and knowledge related to IPL and fractional lasers. 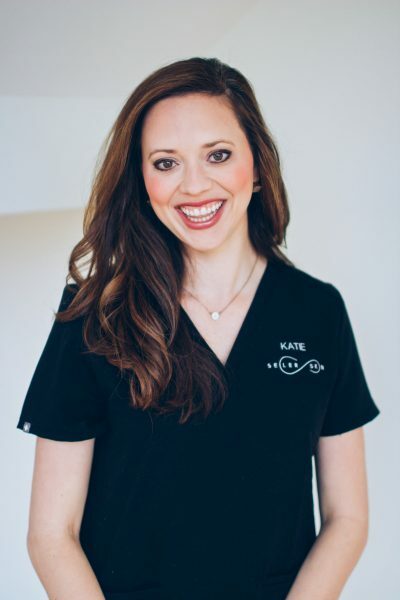 Katie is a medical aesthetician at Seiler Skin, and performs IPL, Lamprobe, chemical peels, HydraFacials, Vampire Facials, Lipo B12 shots, laser hair removal, Q-Switch ND:YAG laser and Dermaplane under the direct supervision of Dr. Seiler. Katie also consults with new patients to tailor treatment and procedure recommendations and develop customized medical-grade skincare regimens that address individual concerns and achieve desired results. Katie regularly assists Dr. Seiler on complex laser and injection treatments. Katie and her husband live in Vestavia Hills with their two beautiful children. In her spare time, she enjoys spending time with her family, watching sports, any activity on the water and painting. Katie’s recent blog post: Say goodbye to stubborn fat and hello to CoolSculpting!